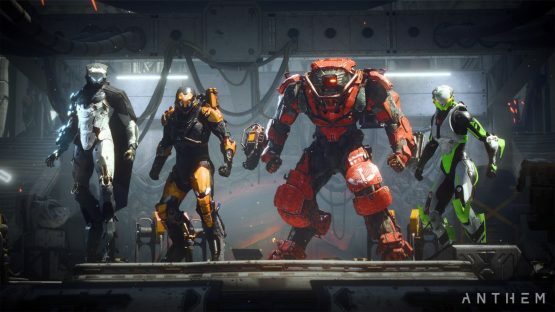 Anthem Javelin Classes: Which Javelin Should You Choose? 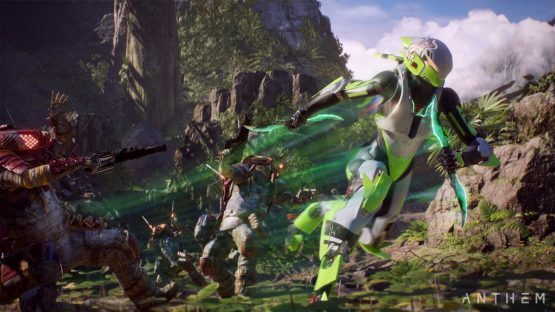 Early on in Bioware’s latest game, Anthem, players are faced with a decision. Which Javelin suit should I choose? It can be a hard choice because each Anthem Javelin class plays a bit different. Some are offensive and some are defensive. Some are agile and some are not. And some weapons and gear can only equipped by certain Javelin types. You get the idea. Players are able to unlock a new Javelin at levels 2, 8, 16, and 26, so you’ll be able to try them all by the time you get to the endgame, but you’re going to be stuck with your initial choices for a bit. 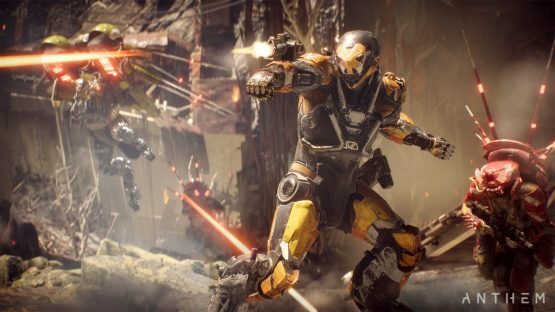 So make sure you know which Javelin to pick in Anthem with our Anthem Javelin classes guide. The Ranger is a jack-of-all-trades-style Javelin and offers a little bit of every kind of play style. Being the second most agile suit, it has strong offensive and defensive abilities. The Ranger has a lot of unique skills, such as barrel rolling in the air, a regenerating shield, and double-jumping capabilities. It can also hold two pieces of assault gear and one piece of support gear (shields). Due to its all around style of play, the Ranger is a good beginning Javelin for players that haven’t quite found their preferred play style. Attack your enemies with a barrage of missiles that lock onto multiple moving targets to do significant damage. If shooting isn’t your thing, go hand-to-hand with your opponent using a lightning stick that will give you an electrifying advantage. The Storm gets its energy through the Anthem, which it absorbs via Seals. Due to its ability to consume energy from the Anthem, the Storm has less armor, which can make battle a bit difficult. The Storm allows you to equip three special pieces of gear, which are the Seals. Blast Seals deal explosive damage, Focus Seals target enemies, and Support Seals offer extra defensive help. In addition to these unique Seals, the Storm also has teleportation capabilities, a kinesis shield, and the longest hover time of any Javelin. Due to its lack of armor and advanced playstyle which requires familiarity, this is one of the more advanced Javelins available and is the second least agile suit. Due to its ability to gain energy from the Anthem, the Storm can summon energy from the Anthem and rain down the full fury of nature’s elements on their enemy. Shoot your enemy with frozen shards that instantly freeze them and allows for a few seconds of undefended attacks. 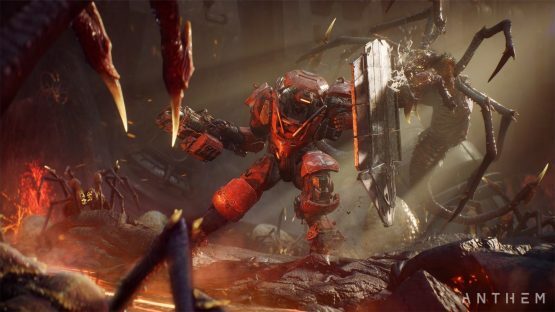 The Colossus is by far the most heavily armored, least agile, and highest damage-causing Javelin that Anthem has to offer. With it being the only Javelin able to equip a heavy weapon, the Colossus is pretty much a killing machine. It can equip two pieces of assault gear and one piece of support gear, including burst mortars, lighting coils, a flame thrower, a shield pulse, and much more. The Colossus has a few unique abilities, like a double-jumping capability, landing damage to enemies (causing damage to enemies when you land), and an air and ground shield, just to name a few. If you’re not one for tactful maneuvering and strategizing, and more of a “hell hath no fury” kind of player, then the Colossus is for you. A highly explosive projectile missile that does significant damage to any opponents that are inside its blast radius. Aim this at your enemy and they will meet a fiery death. The Interceptor specializes in dealing great amounts of damage to your enemies at a close range. With quick and smooth maneuverability, the Interceptor is able to deal loads of damage to opponents and then dash away before they can fire back. The Interceptor allows you to equip three different Systems, an Assault System (attack), Strike System (causes high damage), and Support System (extra help). The Interceptor has unique abilities that include a triple-jumping capability, chain dashing, spinning barrel rolls, and so much more! Being the most agile Javelin, the Interceptor is perfect for players who like to get their hands dirty up close and personal. Give your enemies an acid bomb to the face and cause lots of damage with corrosive attacks. Increase the amount of damage that one of your allies can do to an enemy that you designate. Hopefully now you have a better idea of what each Javelin class in Anthem is and can make an informed decision on which Javelin to pick when you’re presented with the decision early on. All of the Javelins offer different capabilities to the player, so once you pick one, take some time to explore its potential and see what kind of cool things each Javelin can do! 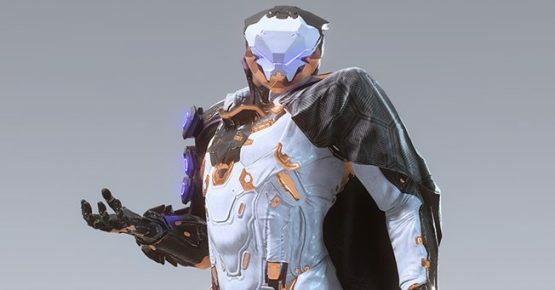 Thanks for reading our Anthem Javelin Classes guide. 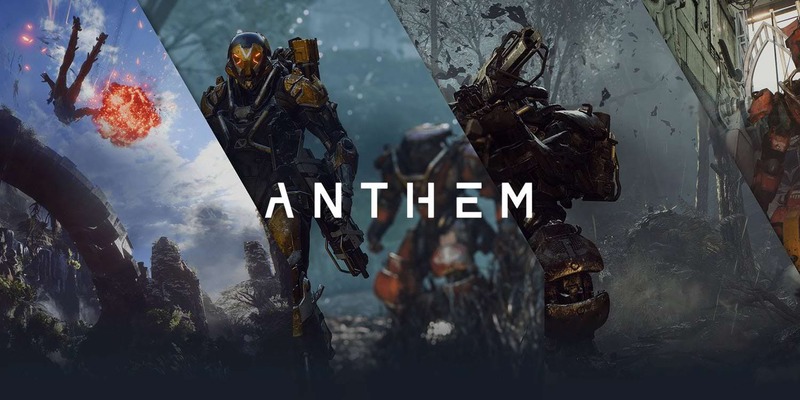 Check out our other Anthem related content!